One of the areas with the greatest potential for this work is the Asia-Pacific region. It represents 55 percent of global GDP and accounts for 44 percent of world trade. And all of us at the Commerce Department are committed to keeping the U.S.- Asia-Pacific partnership growing — both through our words and our work. Last year, I led the largest-ever higher-education mission to Indonesia and Vietnam. I visited Hong Kong and China last fall. And, earlier this month I was in Japan and Vietnam a second time to advance commercial relations. Our work in this region is a priority for us. And good things are happening. U.S. goods exports to the broader Asia-Pacific totaled nearly $900 billion in 2011, a 15 percent increase from 2010. This is equal to 60 percent of total U.S. goods exports to the world. This partnership is generating benefits for all sides. This means jobs and growth for the American economy. 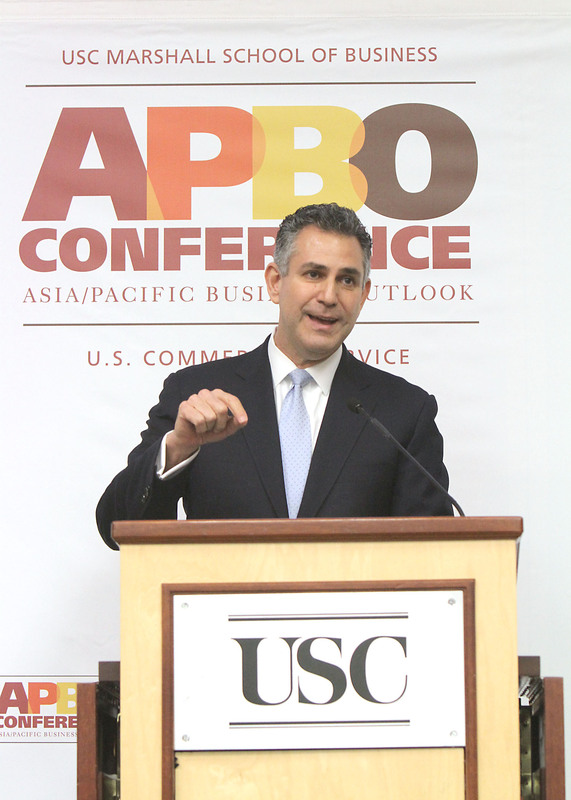 In turn, U.S. products and services are helping to fuel the economic development in the Asia Pacific. These have been win-win partnerships. Now, we’re focused on producing even more wins. To do this, the Administration is working from the policy level to the community level. For instance, one win came recently when the U.S.- Korea Trade Agreement took effect. Before, in a variety of sectors, U.S. companies had to pay a tariff rate to sell their goods and services in Korea. Now, many of these same companies can enter the market duty-free. Almost 80 percent of American exports of industrial products to Korea will enter without getting taxed. Estimates are that this will lead to roughly $11 billion in additional U.S. exports. It will also provide new opportunities in the 12th largest economy in the world. That’s a big win. Another win involves the Trans-Pacific Partnership. As many of you know, it’s an ambitious, high-standard trade agreement for doing business in the Asia-Pacific. It seeks to address new and emerging trade issues and 21st-century challenges. Working with our colleagues at the Office of the United States Trade Representative — we are addressing traditional trade issues involving goods and services; rules on intellectual property; and technical barriers to trade. And we are making progress. A TPP framework was agreed to in Honolulu at the APEC Leaders’ meeting in November. It was a landmark accomplishment. The agreement identified five central features that nations around the world are already viewing as a new standard for trade agreements. The Commercial Officers from across Asia, Russia and Brazil as well as the domestic trade specialist stand ready to help U.S. businesses explore the possibilities that are out there. There were some great conversations today. This is a chance to achieve common goals, such as creating more markets and customers for U.S. businesses, which can lead to more sales, which will boost U.S. exports, which supports jobs and strengthens the American economy. These are big goals that will make a big impact. And I look forward to working with all of you in the years ahead to achieve these goals. So let’s get the conversation started.